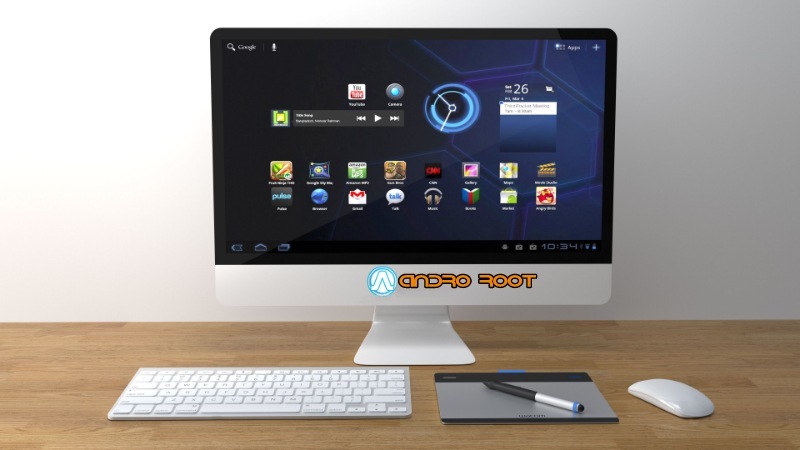 Using Android Emulator is the best Way for Running Android Apps and Games. and it will be even good when you have several options of Android Emulators.Using Android Emulator is also a faster way to Run Android Apps on your PC then installing Complete OS in Virtual Machine.So Just select an Android Emulator or Android App Player for PC of your choice from below list, Download and add some apps and games and Start Playing your Game and Running your App. 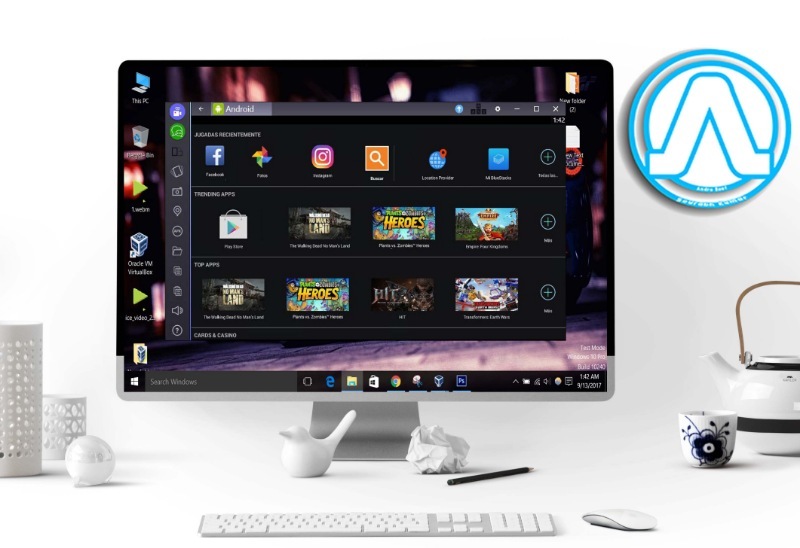 My Personal Favorite is Bluestacks for Android Apps and If you want to know more about them and want to use them, here is a nice article “15 best Android emulators for PC and Mac of 2017″ at “Android Authority“ so visit here and Grab one emulator for yourself. Searching for Android pc? 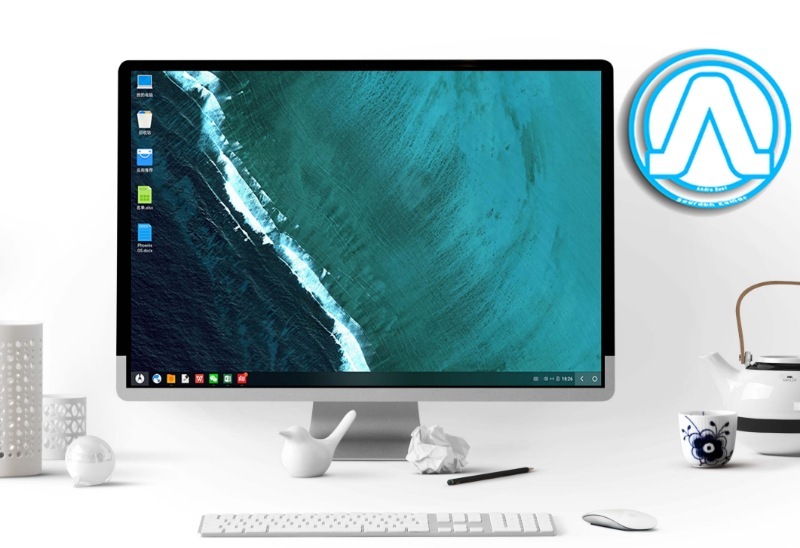 You are at a right place in this part of this post we will guide you to convert your Computer into an android computer using Android OS.Recently Two OS is launched Remix Os and Phoenix OS both are Android Based OS and developed for Computers and Laptops.The best thing about them is they are having Play store and all required drivers and they can be installed in your PC Along Windows OS, without any single problem.So In this part of the post, we are going to introduce these two OS and steps to dual boot Android OS with Windows in your PC. Basic apps, etc. and much more. A system running Windows 7.8.9. or10. Download the Zip file from Jide’s official site. Extract it.This zip file will have 4 files 1x android iso, 1x.exe installer, and 2x text files. Reboot your Computer System & Follow the instructions. Select the Mode of Installation – Guest Mode or Resident Mode. Remix OS will Begin with Installing the OS. That’s it Remix Os is installed successfully and you can start playing with it.It takes a long time to start the Remix OS for the first time because it is optimizing local applications. It will be faster in subsequent start-ups. Phoenix OS is very latest OS, It also comes with Android 7.1. So you can use latest Android OS on PC.Phoenix Os is having many features and functions of classic personal computer operating systems like windows and also supports millions of mainstream Android applications. You can use it freely in any environment – home, office, education or any other and any screen size – Tablet, Desktop, Notebooks, and Laptops. All Basic Android Features and drivers, etc. 4.5 GB of hard drive space. Visit the official website or forum to download the latest x86 installation package to your local hard disk. Under “ISO file”, choose the Phoenix OS ISO file. if already downloaded. if not, then proceed to next step. After successful installation, restart the computer. That’s it Phoenix Os is installed successfully and you can start playing with it.It takes a long time to start the Phoenix OS for the first time because it is optimizing local applications. It will be faster in subsequent start-ups. If you don’t want to install Android OS on your PC along with Windows, then you can try running one of these operating systems in VirtualBox. The Virtual box is available on most platforms so this guide can be applied to Windows, Mac and Linux OS. These Android Virtual PC allow you to run live version of Android on PC, Thus you can install goggle apps on PC and Other apps from Play store.But There is a Major Drawback in this Method that all the data will be Not stored anywhere so everytime you have to reinstall all the apps and do all the settings. Download VMVirtual Box for Your OS. Install is and Open it.Main Menu will appear. Click on New in the menu option on the top to create a new virtual machine, from the VM VirtualBox. In the new tab select the options as shown below. Name:-You can give any name you want. Type:- Linux ( because Android is based on Linux. Version:- Other Linux (64 bit) Remix is a 64-bit OS. On the next screen, You Have to allocate the memory. Select anything above 1 gb. Select Create a new virtual hard disk now. On the next screen, Select VDI as your hard disk file type. Click Next. On the next screen, select Dynamically allocated.Allocate at least 16 GB storage space. Also, select the location of your virtual hard drive. click Create. You’ve now created the virtual machine. Next, we’ll install the Remix OS ISO file. Now, Download and extract the files from the Remix OS zip file.Only the ISO file will be used here. In the Main Menu of Virtual, Box Software Click on Settings in the menu option on the top and then click on Storage. Now Expand the Controller: IDE Option and then Click on Disk Icon (Empty). Now at the Left side in Attributes Option-Click on / Tick on the Live CD/DVD. Just above it, you will find a CD/DVD icon Click on it. Now In the newly opened option list Click On Choose Virtual Optical Disk File. 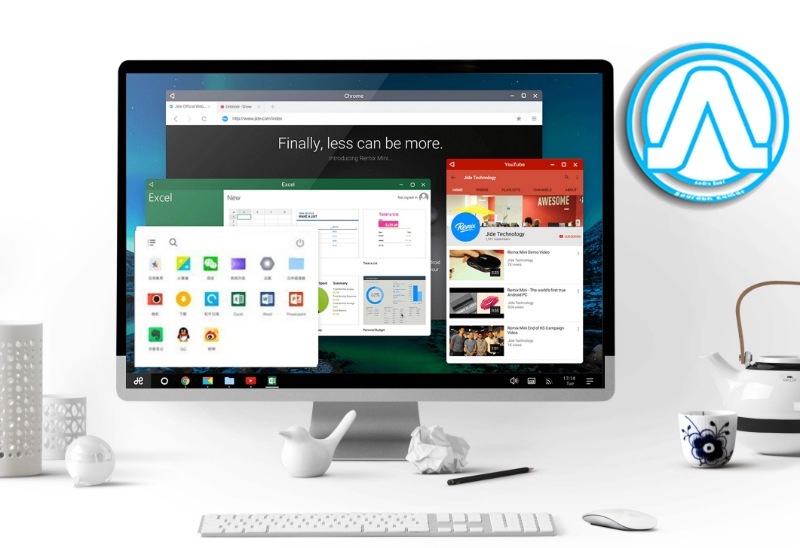 Browse and select the Remix_OS_for_PC******** .iso file from Step 10. Now start the virtual machine by going back to Main Menu of virtual box software and Right-click and select Start -> Normal Start. The virtual machine will boot. Remix OS will start booting. Now, your system should start up. It will take some time to boot up. After everything is done, You will be asked to Select the Language for operation.Select your desired Language. The Same Procedure will be followed for the Phoenix os and others and on every platform.So you can Play and Run all the Android Games and Android Apps on your PC without doing any Permanent changes. You May Also Like:- Is ChatOnGo for Business the next Big Thing? 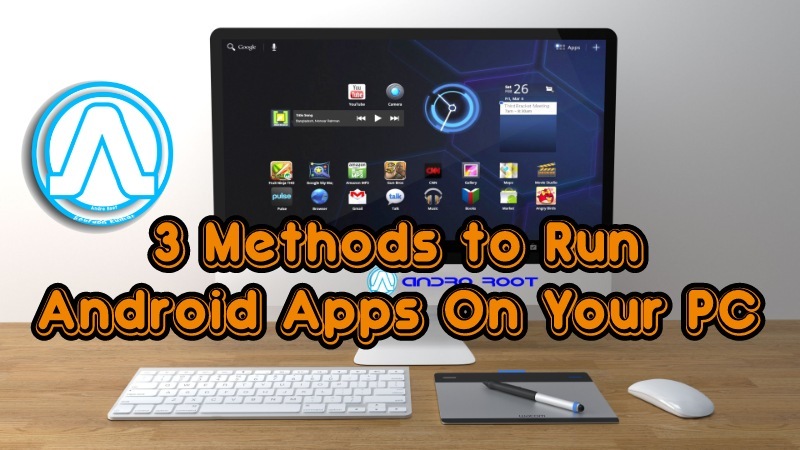 All the methods in this post “3 Methods to Run Android Apps in your PC” are personally Tested and having very good success rate all over the world.In this Post, We have Talked About All the Methods to Run Android Apps On A PC. We also learned about how to build an Android Virtual PC, and Android App Player for PC/ Android Emulators, We also Learned to dual boot Android OS with Windows.These methods allow you, and us to Run every single Android App on our PC or Laptop.I will prefer Method 1 and 2 Because Method 1 Using an Android Emulator is easiest and fastest way among all three Methods and you can quickly access all the app and games without doing any changes in the system.I will go for Method 2 if and only if I want a Complete and separate Android desktop Environment on my PC along with Windows OS. I will not prefer Method 3 because it takes time to load and also it is slower and sometimes feels leggy.Now, At last, i want to say that try method 1 and 2 and share your views with us using Comment section Below.